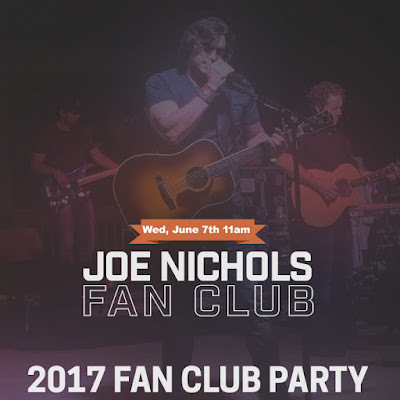 2017 Joe Nichols Fan Club Party on Sale to General Public Now! 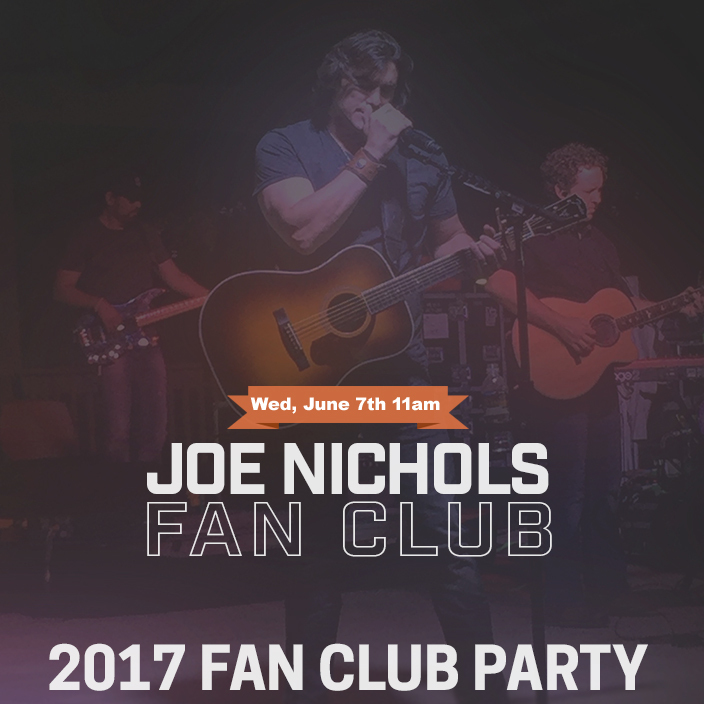 Tickets for the 2017 Joe Nichols Fan Club Party during the 2017 CMA Music Festival are on sale to the general public now! The party includes lunch, an acoustic full band performance, Q&A, a souvenir, and a meet & greet with Joe.